After Halloween, Holiday craziness seems to rush in like a freight train. We’re not ready! Ease into that Holiday Feelin’ with this recipe that takes mere minutes, but gives you the warm fuzzies for the rest of the day. When you slice the acorn squash horizontally (against the ridges rather than with them), you get lovely scalloped edges that are as pretty as a picture. It’s a matter of tossing those pieces in some olive oil and salt, and roasting in a hot oven until they’re soft (about 20 minutes.) We’ll often use the toaster oven since we make these in a small batch — perfect for lunch with a salad or as a side with dinner. 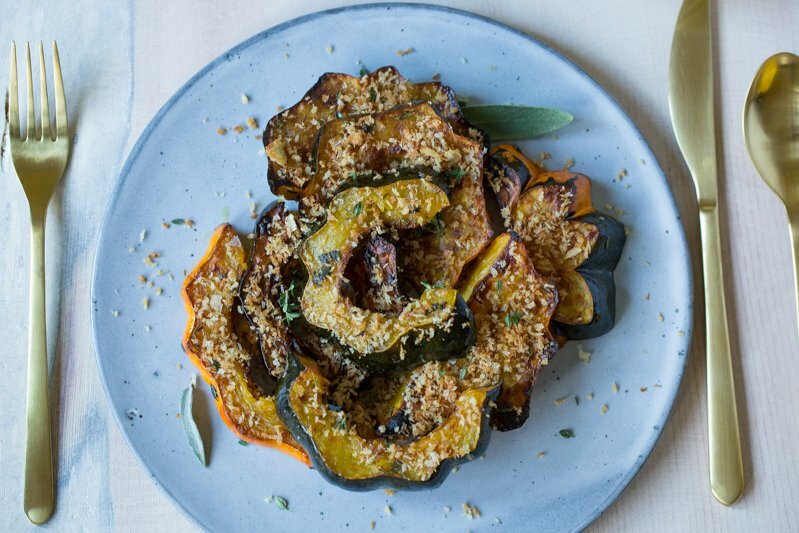 A little bit of crunch (and not a lot of effort) can turn ordinary roasted squash into something more special. Heat a pat of butter in a skillet, add some chopped garlic and thyme leaves and when fragrant, toss in a handful of panko. As you stir, the panko will toast and absorb those lovely flavors. Then it’s just a matter of a flick of your hand to scatter the magic and you’re done! Heat the butter in a skillet, add the garlic and herbs. When fragrant, toss in the panko. As you stir, the panko will toast and absorb those fall flavors. 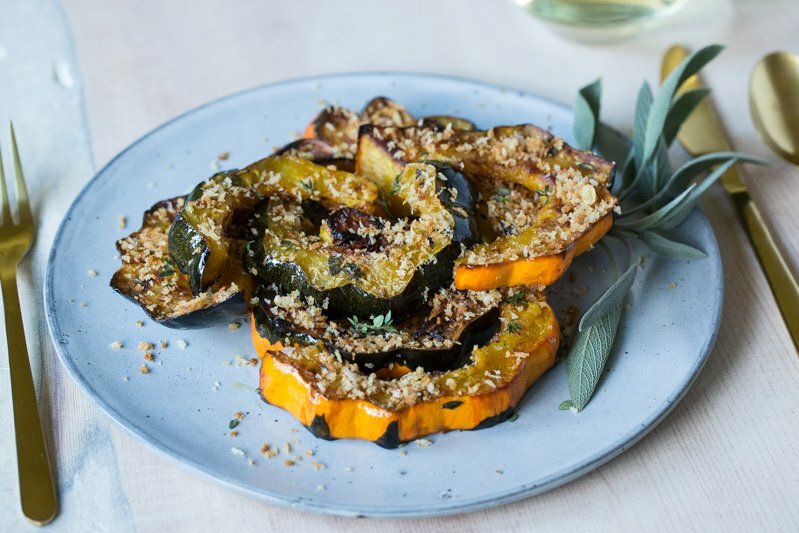 Sprinkle the panko atop the plated squash, garnish with fresh herbs and enjoy.